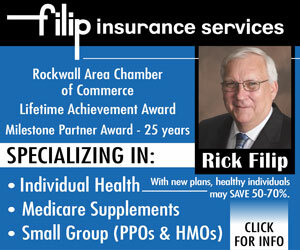 (ROCKWALL, TX — June 21, 2016) A night of fundraising, dinner and dancing awaits North Texas firefighters and their families during the 3rd Annual Firefighters Ball on Aug. 27 at the Hilton Dallas/Rockwall Lakefront. Hosted by local nonprofit The Colbert Project, the Black Tie event will bring together local fire communities for cocktails, live and silent auctions and casino games, a cigar bar, wine pull, and photo booth. 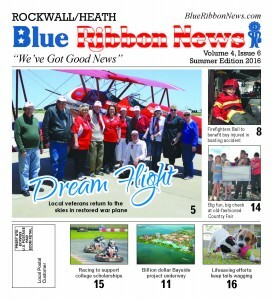 Emcees are Justin Holland, Republican nominee for Texas House District 33, and Rockwall County Judge David Sweet. 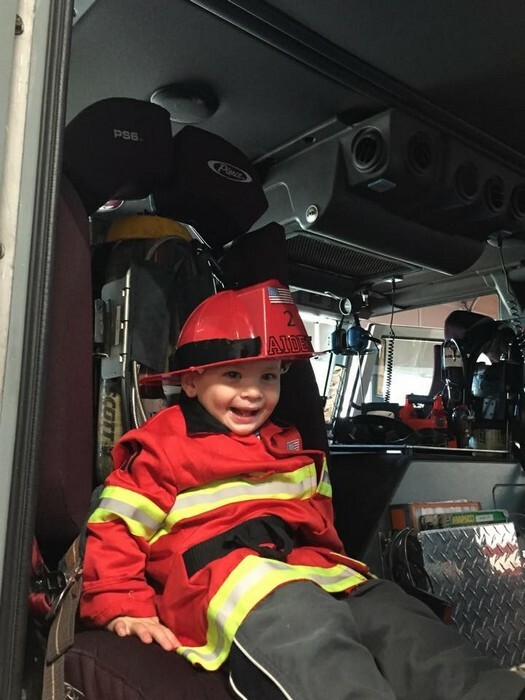 Proceeds of the 2016 Firefighters Ball will benefit the McKitrick family and their three-year-old son Aiden, who suffered traumatic injuries when he fell from a boat on Lake Ray Hubbard on May 5. For Kelly McKitrick and her husband, Lewisville firefighter Austin McKitrick, the support provided by Emily Colbert – founder and president of The Colbert Project – and others with the nonprofit organization has been a tremendous blessing. 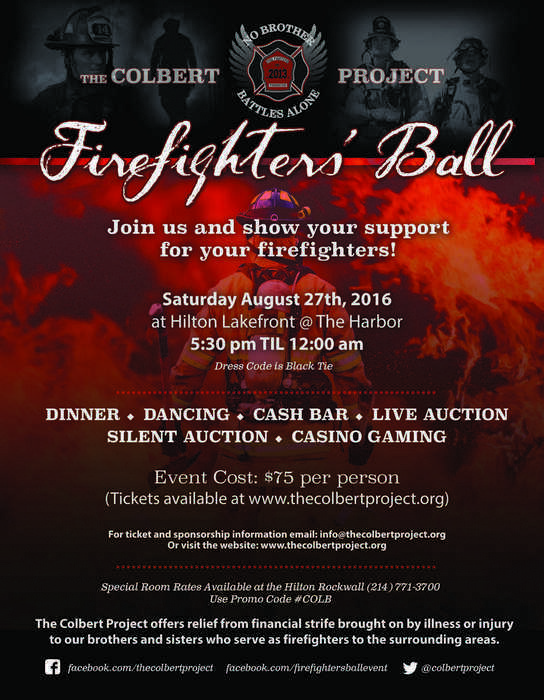 Since 2013, the Firefighters Ball has benefited three firefighters and their families, including the Colbert family. 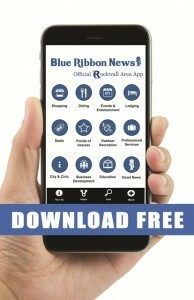 On Dec. 17, 2012, Emily Colbert’s husband Devon – a Garland Fire Department firefighter and volunteer firefighter for the Rockwall Fire Department – and their then-two-year-old son were involved in a motor vehicle accident in the family’s hometown of Rockwall. 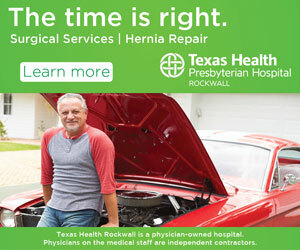 Their son was unharmed, but Devon suffered a life-altering neck injury which left him paralyzed. 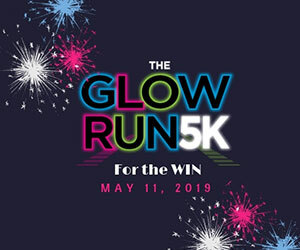 After learning of Devon’s injury, the Garland and Rockwall fire departments began planning an epic fundraising event – the Firefighters Ball – to show support for one of their own and help the Colbert family with Devon’s medical and rehabilitation expenses. The successful event afforded countless hours of rehab for Devon, along with needed equipment and transportation. With overwhelming feelings of gratitude for the businesses, organizations, and their Garland and Rockwall fire families who helped make the first Firefighters Ball such a success, the Colberts decided to pay that kindness forward by creating The Colbert Project – a 501(c)3 non-profit organization focusing on giving back to those who have selflessly given to the communities in which they serve. 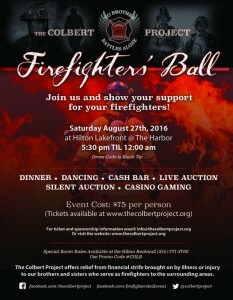 Each year, The Colbert Project provides financial assistance and support to other fire families facing financial strife brought on by illness or off duty injury with its Firefighters Ball fundraiser. For the Firefighters Ball 2014, The Colbert Project selected Dallas firefighter Jeff Patterson, who was badly burned while on duty, to receive funds raised by the organization. 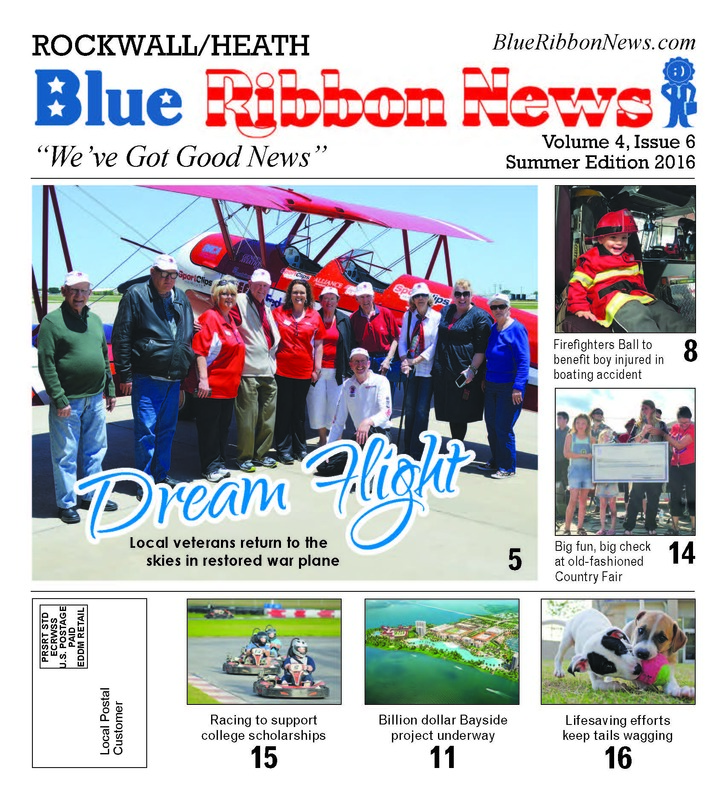 In 2015, the proceeds assisted another Dallas firefighter, Tracy Beard, who is battling ALS, also known as Lou Gehrig’s Disease. This year’s Ball looks to be a major success; as of early June, only a handful of tickets remain available for the event. The Colbert Project is currently seeking sponsorships and donations. For more information, visit thecolbertproject.org. By Austin Wells, Blue Ribbon News editor. Photo of Aiden courtesy the McKitrick family.